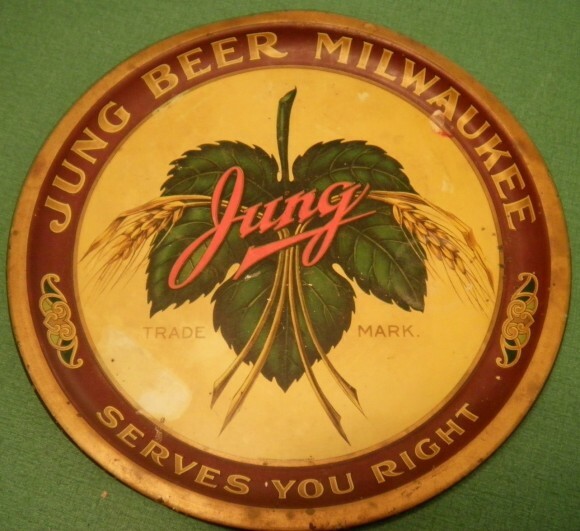 Serving Tray for Jung Milwaukee Beer. Text at bottom states Serves You Right. This variation shows in the center a highly detail painting of a leaf and barley.